It's all part of life. 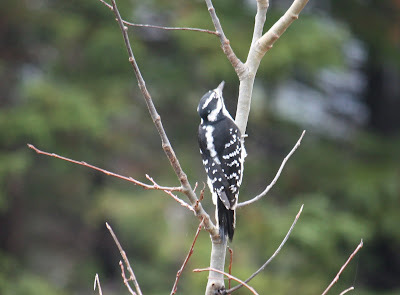 Had this visitor in my yard a couple of days ago. It stayed long enough for me to run into the house, grab the camera and get a couple of fairly good shots. I've never actually seen this type before, but upon further investigation and with the assistance of a quick search on Google, the mystery has been solved. 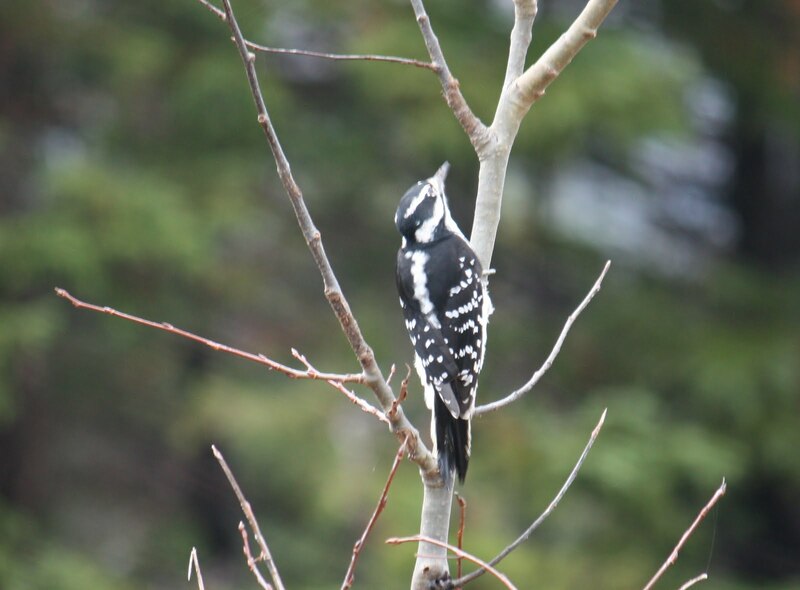 It is a black and white woodpecker......not something that you see around here very often, as our woodpeckers are usually brown with a brilliant facial color. Scanxiety is approaching and no matter how long we have been at this now, it never seems to get any easier. The night before a report is always filled with uncertainties....there's always a deep pit in our stomachs and it brings the reality of having cancer into full bloom. Not everyone would understand this, that is, unless you also have been affected by cancer. Seems only those of us who walk similiar roads truly understand the highs and lows of this disease. Someone asked me awhile ago why I don't talk in detail about our journey....well, it's a personal decision and one that I just don't want to discuss with those who really would never understand. You have to live it, breath it and ride that emotional roller coaster to feel the gut wrenching, fear filled ride that affects all those involved. To talk about it honestly and indepth to a novice, would certainly not afflict the same understanding and compassion as it would to talk to a cancer patient or his/her immediate family. Material things really don't matter to us now...we take nothing for granted anymore. It's all about fighting to live each day....and finding out who and what are really important in your life. A cancer patient staying in a cancer hospice recently told me he felt right at home...everyone there truly understood each other and what obstacles they had to overcome each day. Playing cards with them was more amazing and fulfilling than any luxurious vacation he could ever take. You will meet exceptional people when you have cancer and create wonderful friendships along the way. Sometimes you may feel like a white elephant when you are in a room where people talk about non-important things....other times there may be a black cloud hovering over you as you deal with difficult side effects from your treatments, but now our priorities are different....we have been given a "gift" to live each day making a difference for others.